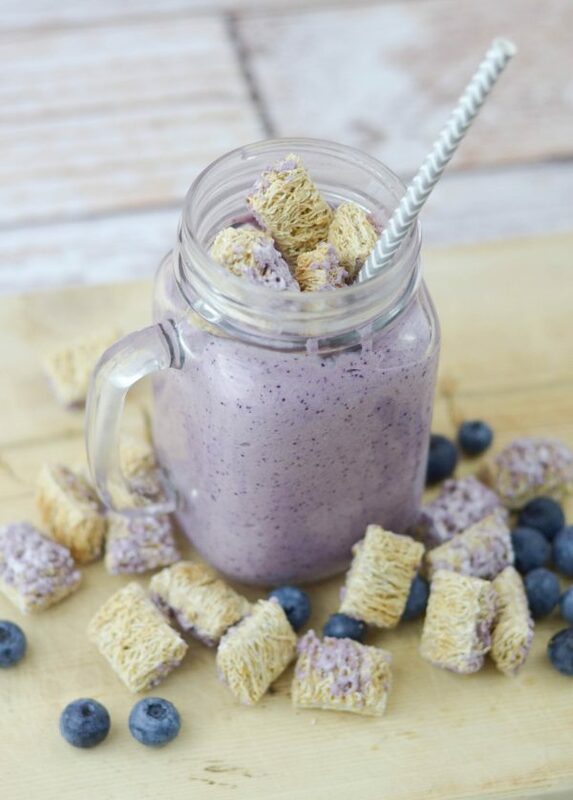 The perfect way to start the day or to boost your day in the afternoon is with this Blueberry Wheat-fuls® Smoothie! 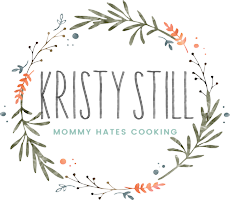 I am sharing this recipe in partnership with Mom’s Best Cereals, all thoughts and opinions are my own. 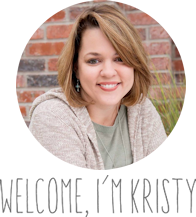 I’m not sure about you, but as we move along into the school year and get back in our groove, sometimes it’s hard to get through the afternoons without feeling famished. I tend to just get in work mode and completely forget about lunch, it’s terrible, but it happens! 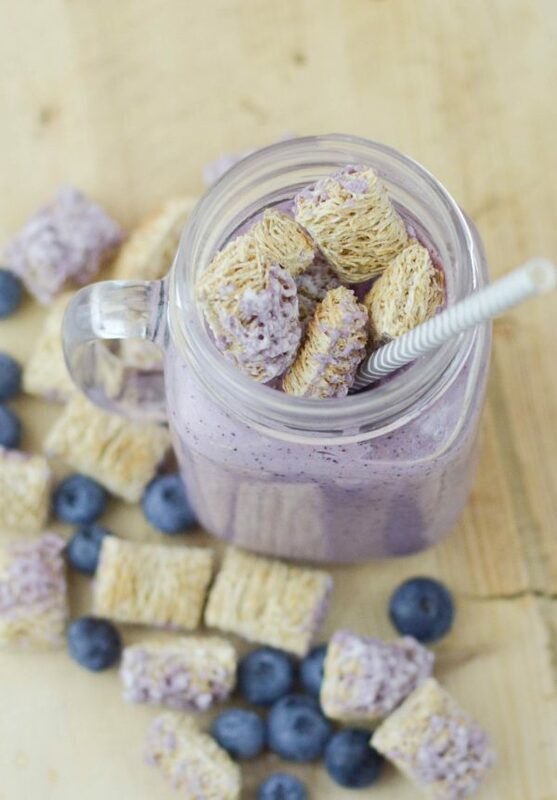 Then, my kids come home from school starving too, so these Blueberry Wheat-fuls® Smoothies came in very handy to fight those afternoon blues. 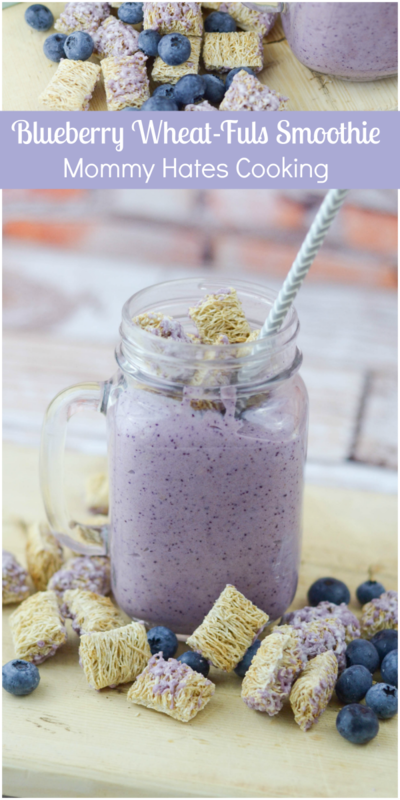 I picked up a box of Mom’s Best Cereal in the Blueberry Wheat-fuls® variety to use in this smoothie, then I simply adapted it from my usual oatmeal smoothie. 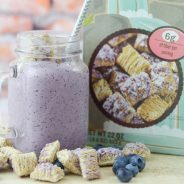 It’s very simple to do and the cereal gives it a double dose of blueberry flavor, plus it makes it thicker too, which I happen to love. 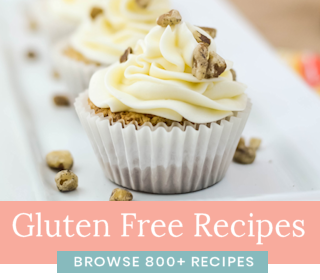 These are easy to make ahead too and simply freeze until you are ready to serve. I actually love making smoothies and putting them in containers to freeze. I use the individual size plastic containers that are 12oz and 16oz. I can sit one out on the counter while I’m getting ready and then it’s nicely defrosted as I’m heading out the door. That handy trick works great in the mornings too. I tend to be running out the door when I have to take my kids to school and I’ll admit sometimes I’m lucky if they get breakfast, so taking a smoothie in the car is great for them and it means I’m still feeding my kids. YAY! That’s a mom win. 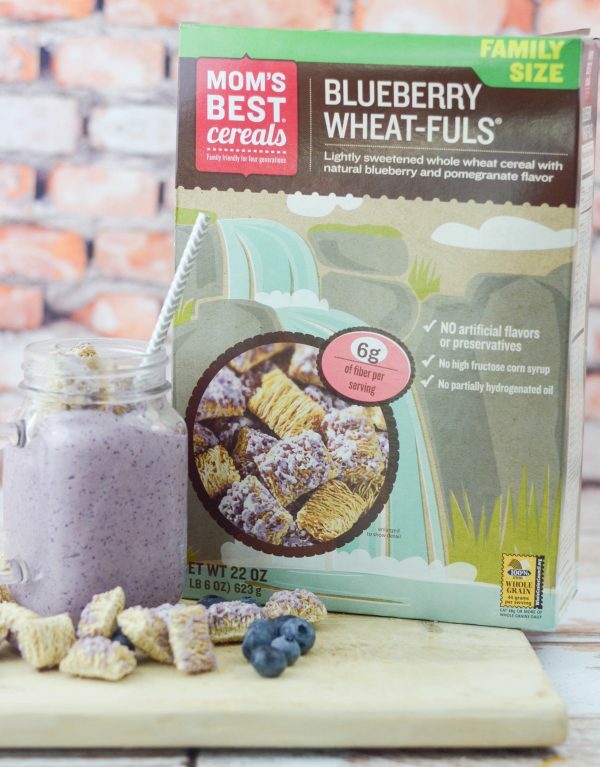 Have you tried the Blueberry Wheat-fuls® cereal yet? 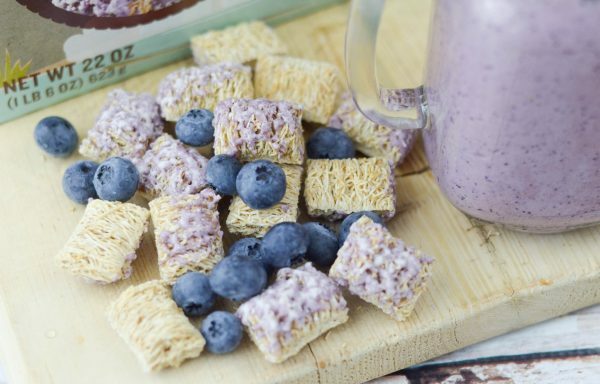 It’s my husband’s favorite, he loves the mix of shredded wheat with blueberry flavor. 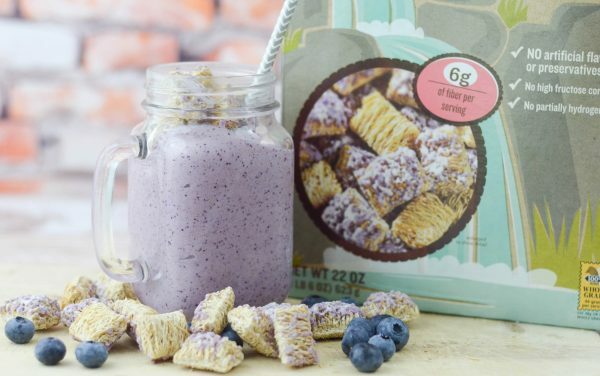 The great thing about Mom’s Best Cereals is they do not use any artificial flavor, so all that flavor is from real ingredients. 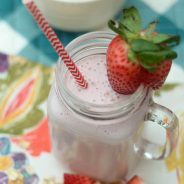 It’s time to relax and enjoy this tasty smoothie! 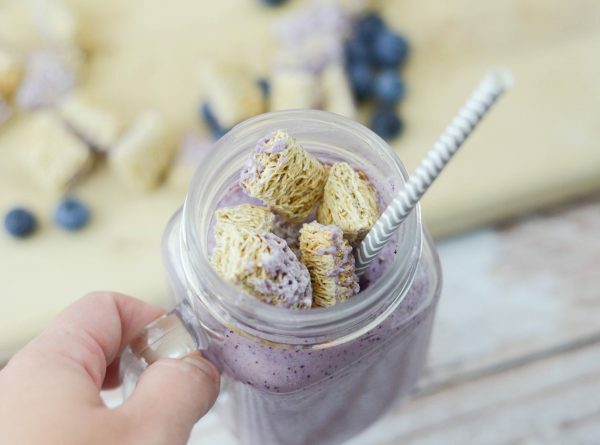 Place the cereal in a blender and blend until a fine consistency. Add in the yogurt, milk, banana, blueberries, and honey. Add in ice if you prefer an icy smoothie. this looks blissfully simple to prepare. 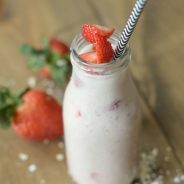 I do like smoothies and I love the healthy route that you have created with this recipe. Blueberry is always a winner in my home. Blueberries are my fave! 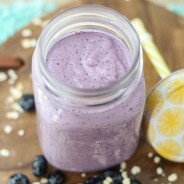 I love making smoothie in the mornings because they are so easy to prepare! Its filling and so delicious! 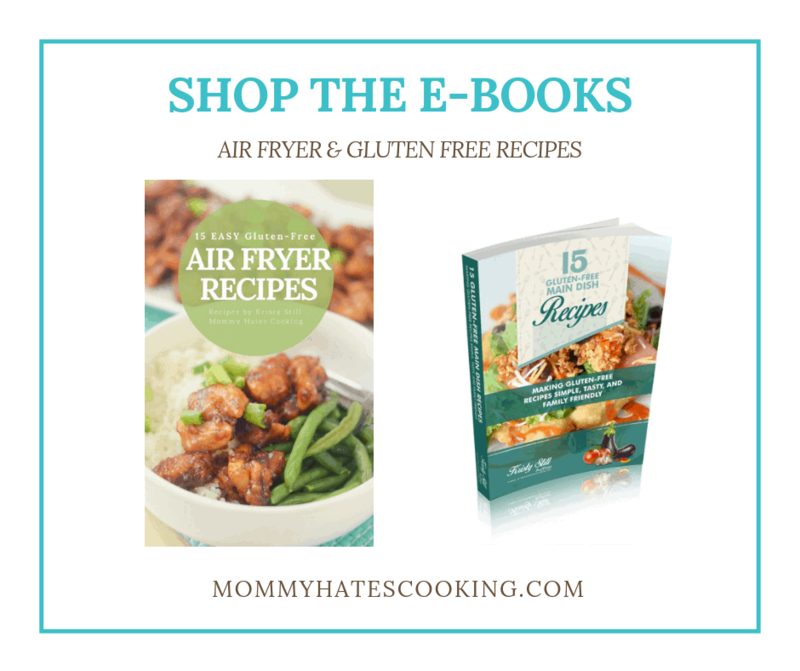 Can’t wait to try yours.